And here come the 2016 issues! Collect them now while you can. 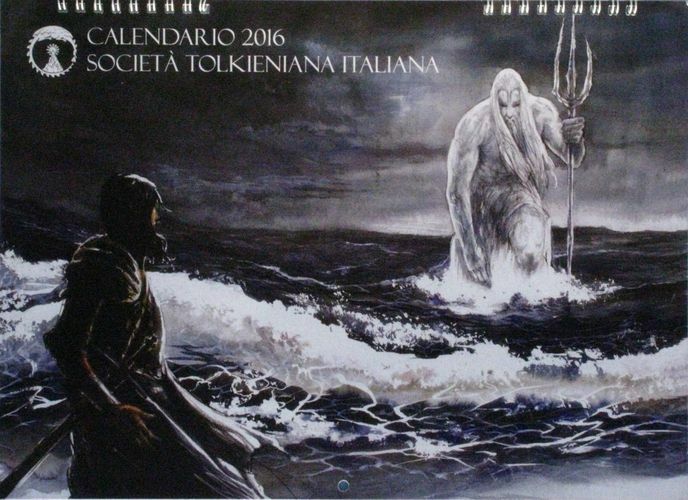 The list will grow as the new calendars are published. 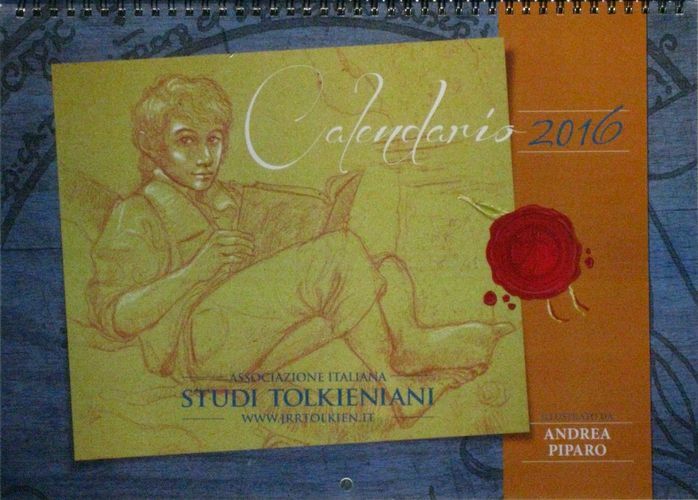 If you know of any new calendars not currently listed here, please email me! 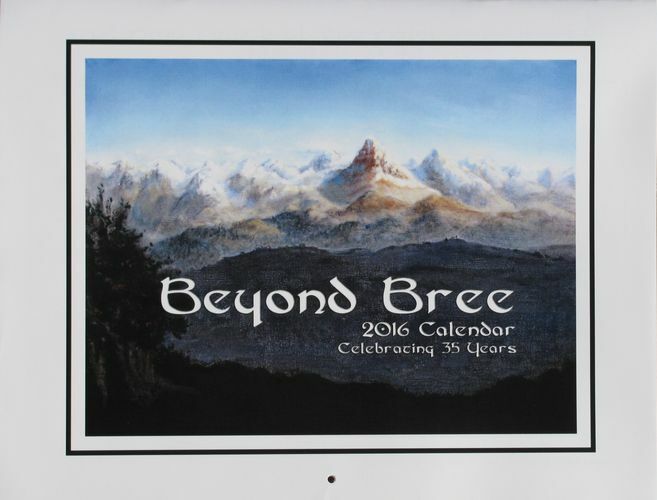 "Beyond Bree 2016 Calendar Celebrating 35 Years" 35th Anniversary of Beyond Bree! 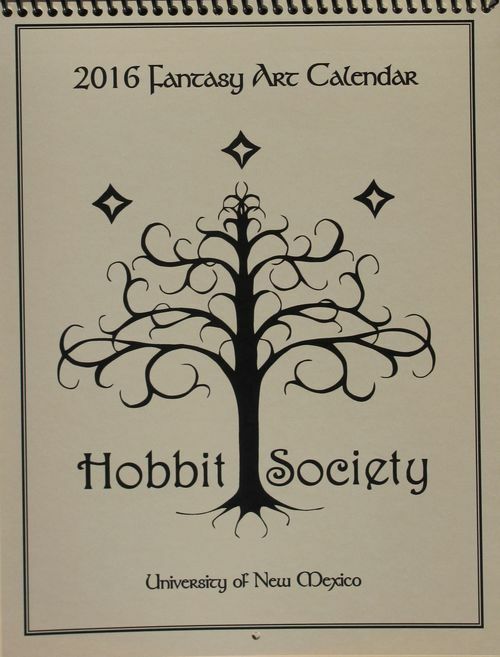 Published by Beyond Bree; edited by Daniel Smith (who brought us the Middle-earth Fellowship and Desolation of Smaug calendars, and 'Folklore and Legends from Middle-earth' series of tales.) Theme: "Landscapes and Landmarks" in Tolkien's Middle-earth. Illustrations by Anke Eissmann, Joe Gilronan, Jian Guo, Glenn Hernandez, Sylvia Hunnewell, Tim Kirk, Octo Kwan, Ruth Lacon, Tom Loback, Nancy Martsch, Jef Murray, Ted Nasmith, Gordon Palmer, Colin Williams, and Kay Wollard. Dimensions: 11 x 8 1/2 inches (w x h); punched hanging hole; saddle stapled. Rarity: 7 100 were created. 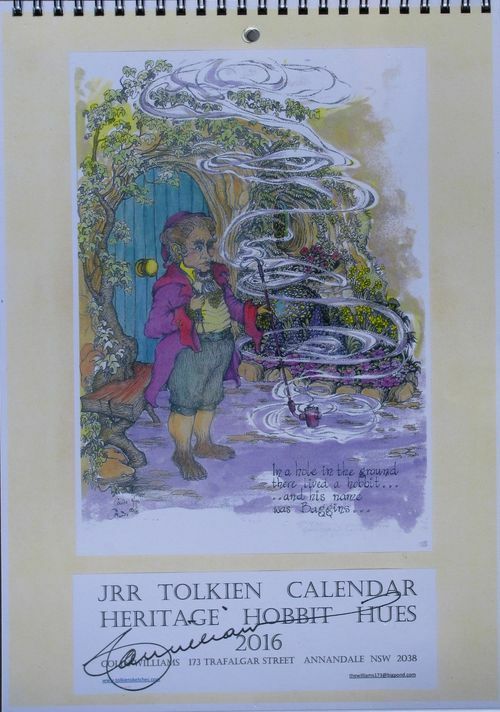 "J R R TOLKIEN CALENDAR HERITAGE HOBBIT HUES 2016" Illustrated by Colin Williams. Clear plastic cover over the title page. Illustrations from "The Hobbit". First foray into watercoloring his extraordinarily detailed pen and ink drawings. Fantastic. Dimensions: A4 (8 3/8 x 11 5/8 inches) (w x h); black wire bound. 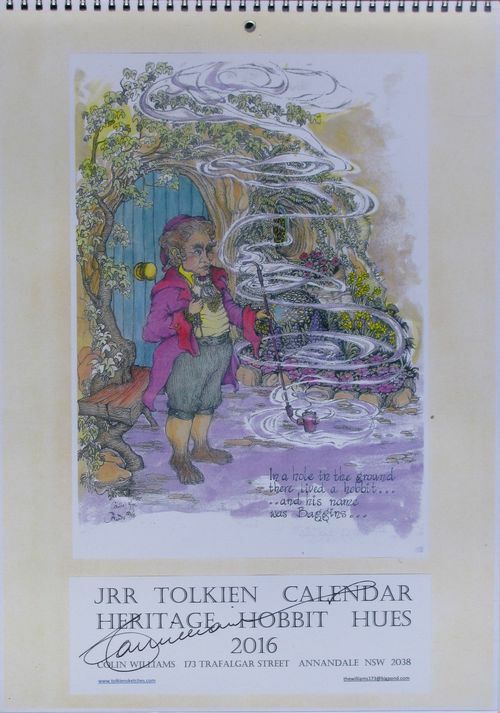 "J R R TOLKIEN CALENDAR HERITAGE HOBBIT HUES 2016" Illustrated by Colin Williams. Clear plastic cover over the title page. Illustrations from "The Hobbit". First foray into watercoloring his extraordinarily detailed pen and ink drawings. Fantastic. Dimensions: A3 (11.75 x 16.5 inches) (w x h); black wire bound. 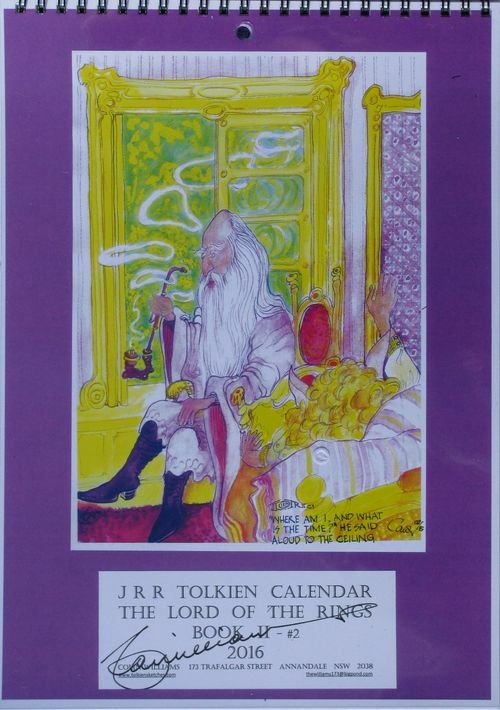 "J R R TOLKIEN CALENDAR THE LORD OF THE RINGS - BOOK II - #2 2016" Illustrated by Colin Williams. Illustrations from "The Lord of the Rings". Eighth essay into both LotR and full-color watercolor illustrations. Dimensions: A4 (8 3/8 x 11 5/8 inches (w x h); clear plastic sheet over cover; black wire bound. 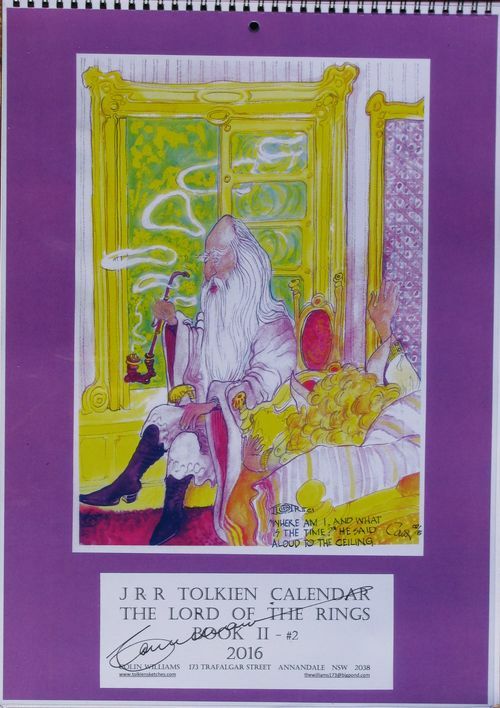 "J R R TOLKIEN CALENDAR THE LORD OF THE RINGS - BOOK II - #2 2016" Illustrated by Colin Williams. Illustrations from "The Lord of the Rings". Eighth essay into both LotR and full-color watercolor illustrations. Dimensions: A3 (11.75 x 16.5 inches) (w x h); clear plastic sheet over cover; black wire bound. 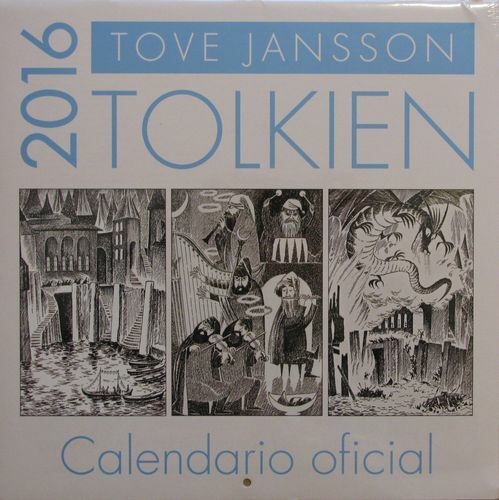 VARIANT: "2016 Tove Jansson TOLKIEN Calendario oficial" Illustrated by Tove Jansson. Dimensions: 12 x 12 inches (w x h); stapled; punched hanging hole; corrugated cardboard insert; shrinkwrapped. ISBN: 978-0-06-241912-5 (US/CAN) ; 978-0-00-812477-9 (UK/EUR) .
" 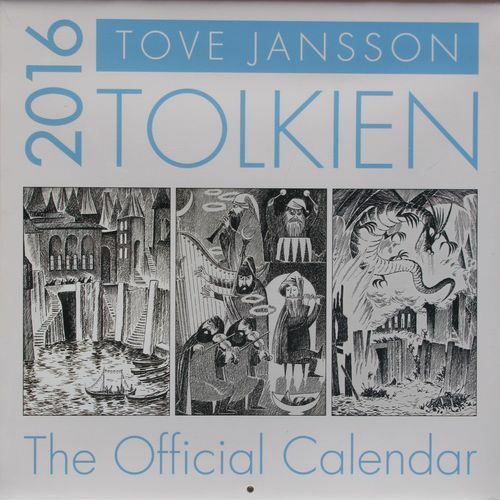 2016 Tove Jansson TOLKIEN The Official Calendar" Illustrations by Tove Jansson. Dimensions: 12 x 12 inches (w x h); stapled; punched hanging hole; shrinkwrapped. 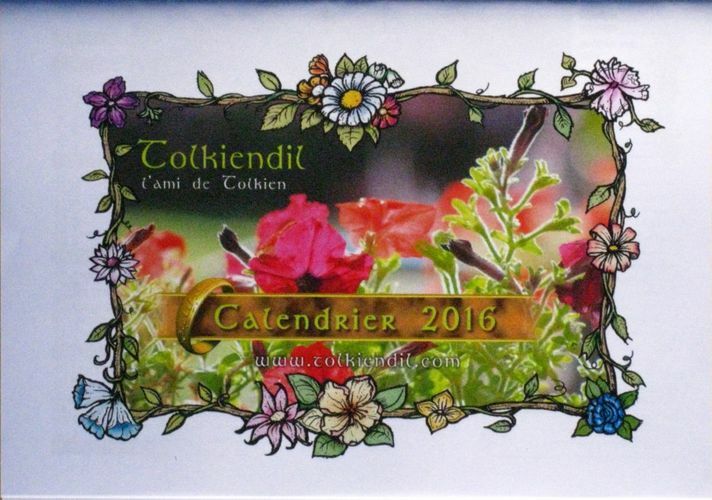 “Tolkiendil l'ami de Tolkien Calendrier 2016" Issued by Tolkiendil, a French Tolkien society. Theme: Plants! (Laurelin and Telperion, The White Tree, Amalion Tree, Hirilorn, Simbelmynë, and Laurinquë.) Text and illustrations by Benjamin Tisot, Pelargien; Lereniel; Nichiren, Eric Faure-Brac; Pascal Legrand; Benjamin Tisot, Leslie Boulay; Vivien Stocker, Sebastien Glorie. Dimensions: ISO A4: 8.25 x 5.75 inches (w x h).